Delhi has been covered in a toxic grey haze since the onset of winter last month, with pollution levels several times higher than the World Health Organization's safe limits. The oversized lungs were put up on November 3 on the premises of the Sir Ganga Ram hospital. Delhi, the world's most polluted major city, has been covered in a toxic grey haze since the onset of winter last month, with pollution levels several times higher than the World Health Organization's safe limits. 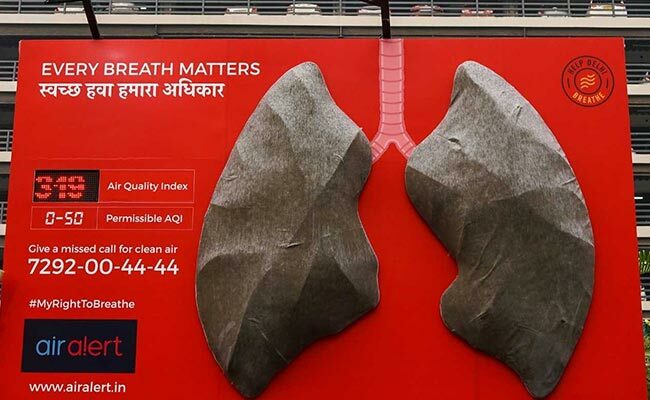 The oversized lungs, put up on November 3 on the premises of the Sir Ganga Ram hospital and white at first, had been fitted with high-powered particle-trapping filters to mimic the way a human body functions. As cooler air traps pollutants close to the ground, levels of PM2.5 -- particles so tiny they can enter the lungs and bloodstream -- have soared dangerously. 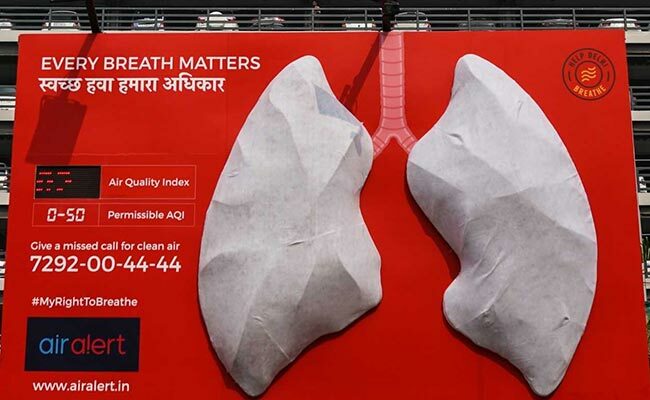 "There is no reason to believe that the same material is not getting deposited in our lungs as well," Mr Kumar told AFP. It had hit a peak of 369 at 11 am before a brief spell of rain brought some respite.